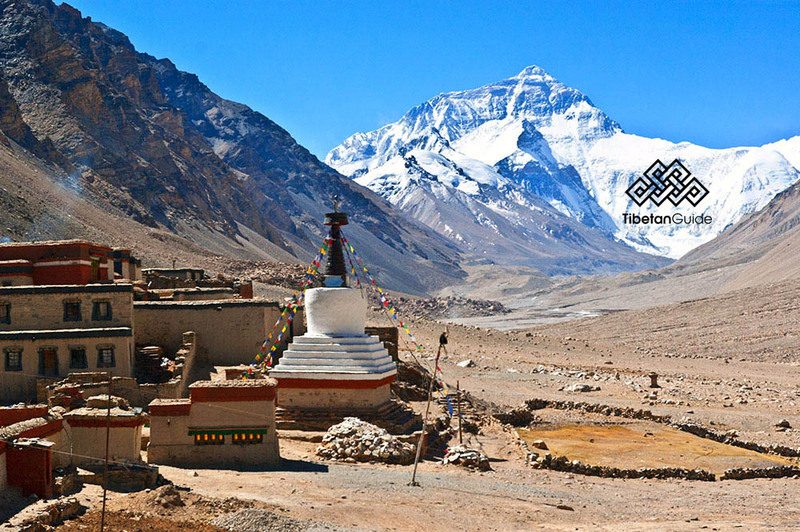 The journey to Rongbuk involves crossing the high pass of Gyatso La [5220m] and the opportunitty to view Mt. Everest and the Himalayas for the first time. Onced arrive to New Tingri we continue driving towards Rongbuk Monastery, located at the foot of the Everest and the highest monastery in the world. We enjoy amazing views of several peaks like Makalu, Lhotse, Cho Oyu, and Mount Everest from the top of the Pang-la pass [5150m]. Overnight at tourist camp site located a few km after Rongbuk Monastery and from where we have direct views of Mt. Everest. Exciting day today: we reach one of the major highlights of our trip, Mt. Everest North Base Camp [5200m] (trekking or take bus). After spending some time at the base of Mt. Everest we visit Rongbuk Monastery and then drive back to Shigatse. Travelling in Tibet must be done after properly acclimatization period to high altitude. We recommend to you joining our 10 days Mt. Everest North Base Camp Tour if you are not in a rush. All our fixed departure tours for this itinerary start in Lhasa weekly. All participants are responsible for their own travel arrangements to Lhasa. We take care of all VISA process if coming from Nepal. The size of the group is between 4-12 people and the kind of transportation varies according to the size of it: minivan or minibus. Rates shown above include all permits, english speaking tibetn guide, confortable accomodation, transportation and entrace fees ONLY. Hotel in Lhasa is Kyichu Hotel near Barkhor area, and Gesar Hotel in Shigatse. ALWAYS in double room sharing basis with bathroom and breakfast, except Mt. Everest campsite tent. Single room occupancy supplement: 205USD. Please, contact us for further details.